Two years ago, I wrote a post about John Wilkes Booth's DNA. A post which has become, by far, the most read post on my blog. 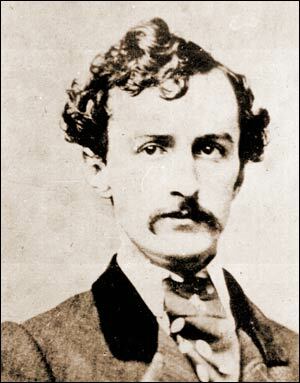 It stemmed from an article I read that stated the family of Edwin Booth was trying to conclusively determine if it was actually John Wilkes Booth that was killed in a tobacco barn in Port Royal, Virginia, or if he survived and went on to lead a relatively obscure life. Their family legend is that John Wilkes Booth survived and lived for many more years. Using modern DNA testing, the family was hoping to compare the remains of Edwin Booth (John's brother) with those believed to be John Wilkes Booth to definitively conclude that it was indeed John that was killed. As it turns out, their efforts have been thwarted. The family had hoped to obtain access to three vertebrae that reside in the collection of the National Museum of Health and Medicine in Washington, D.C., which is managed by the U.S. Army Medical Command but the Army rejected their request. The fear of degrading the 150-year-old specimens was just to great for the museum. From the beginning of Booth's killing the identity of the body found in the barn has been in question. It looks like it will remain so for the foreseeable future. To read a full article about the John Wilkes Booth DNA saga, click here. Well darn - not even one tiny little scrape? Shucks. It looks like everyone has a vested interest in knowing the truth. It's not just the family's curiosity. Heather, I am not surprised that that was one of your most viewed posts. My grandfather descended from a Booth(e), and his family always carried the tale that John Wilkes Booth had indeed escaped and lived out his years in west Texas, where some of our family had settled. Since the advent of online genealogical forums, I was surprised to run into others who had mentioned hearing that very same story--these all having no connection to each other, other than through their common Booth ancestry. When we compared, among us strangers, how distant our relationships were, we realized how very widespread that legend was among this family. If nothing else, your hits may have come from Booth descendants, all wanting to know for sure: was it just a story my grandpa made up, or did it really happen?! Thank you ladies! Jacqi, I didn't realize how widespread that rumor was! I hope to one day find out for sure. Very interesting post---wish it could have ended with the results of a DNA test! Me too, Michelle! I don't think the family is giving up quite yet. Maybe we'll see results in our lifetime! Supposedly Booth lived here in Granbury, Texas, as John St. Helen, and hid the gun used to kill Lincoln in a house that used to stand just a couple blocks from my home. Wow, Amanda, I didn't know there was that much detail to the story! I wonder how he supposedly escaped?